Food and Drink: Think Pink! Let's start with cakes shall we? There are some things that are so beautiful, you just don’t want to share. Victoria Made’s single portion layer cake, for example. And why should you? This single-person serving is just enough for one! 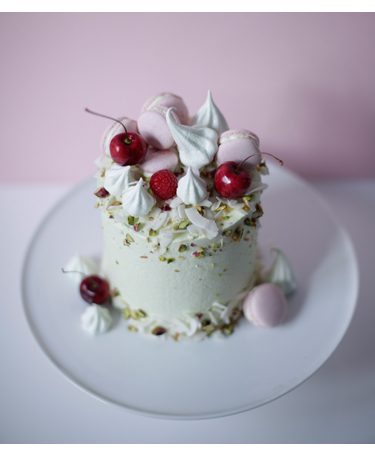 We love this design crowned with meringues, macarons and pistachio flakes, but they can be made bespoke, to just for you. End your reception night on a sweet note with Meringue Girls featured below and bottom left. 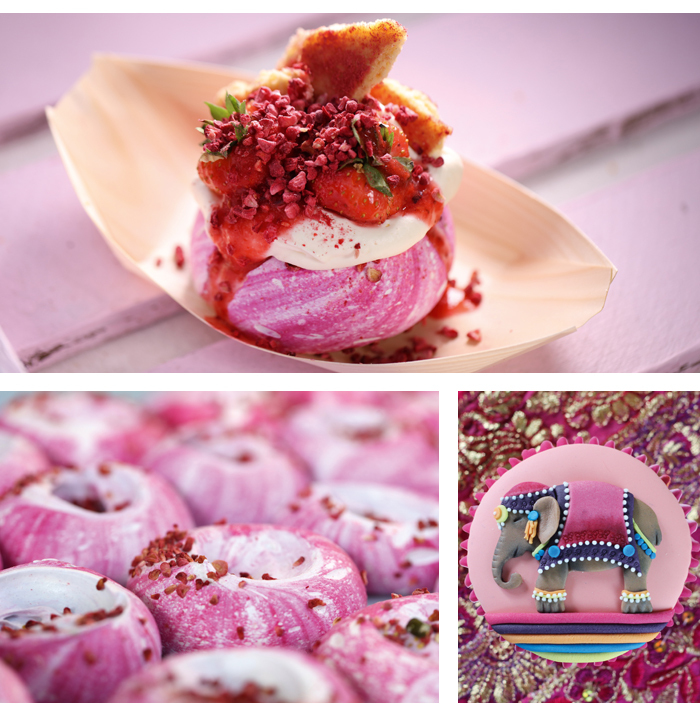 They create everything from individually boxed meringue kisses to mini pavlovas and even meringue lollipops in flavours as exciting as G&T (hic! ), Pistachio & Rose and... Unicorn Poo! For favours your guests will never forget, look to Lindsay's Cakes. Avoid a Pinterest-style fail with adorable Asian elephant cutters to cut out sugar elephants for cupcake favours. £10.56. There’s no denying gin is having a moment. From the traditional juniper to sloe, and now pink!, gin has gone from mother’s ruin to party tipple du jour. We love the W-ready look and smooth taste of Pinkster Gin, a premium gin made near Cambridge with raspberries (hence the delicate hue). Give it a Big Day upgrade with fresh fruit garnishes and elderflower tonic. £30 for 70cl. Dating back to 1763, Armand De Brignac is premium brand that's honed the art of creating the ultimate flute of Champagne. As trailblazers, owners the Cattier family, presented the drinks in iconic bottles with hand-finished French pewter labeling – unique to any other tete de cuvee in the world. Perfect your for Big Day, no? 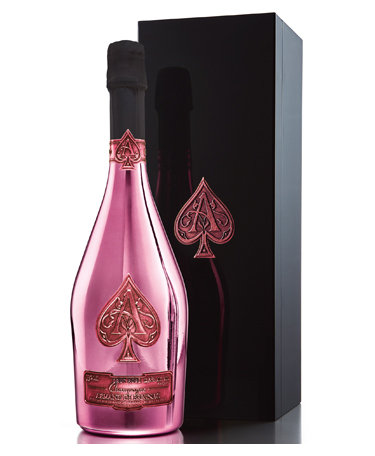 Armand de Brignac Rose, £450. Cocktails are non- negotiable for shindigs, but now there’s another ingenius way to get guests tipsy. 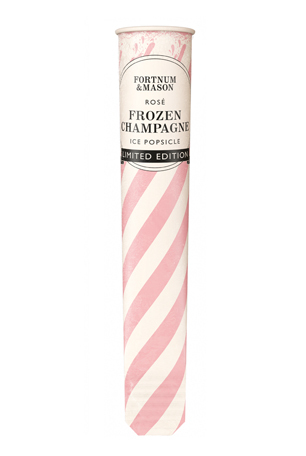 Strictly for adults only, Fortnum & Mason’s popsicles come in four devilishly delicious flavours; Summer Cup, Kir Royale, Blanc de Blancs Champagne and Rose Champagne, made with Fortnum’s Sparkling Rose. All treats contain alcohol, so enjoy responsibly! 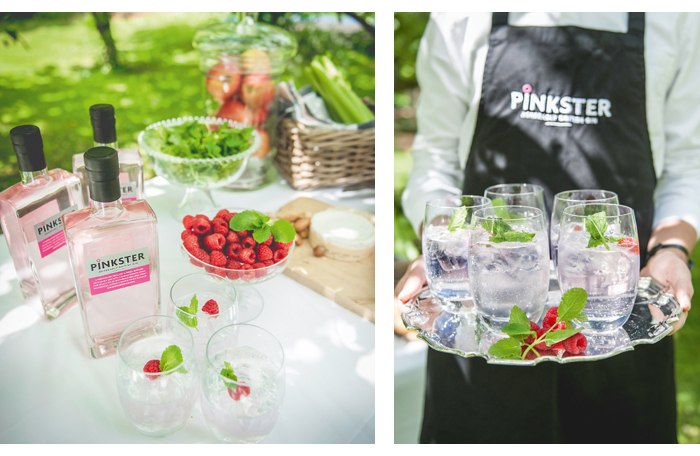 Dual-purpose favours are perfect at this time of year; flip flops, bespoke shades or... bottles of ice cold pink lemonade! Serve in a wooden bucket filled with ice for a rustic vibe. 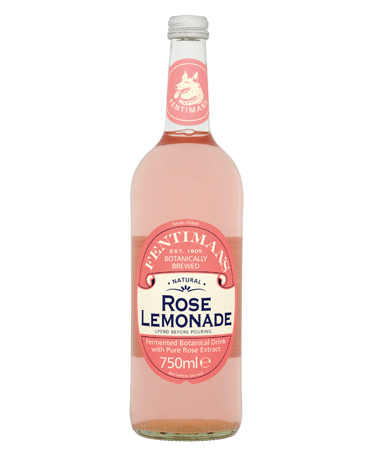 Fentiman’s Rose Lemonade: £2 for 750ml. 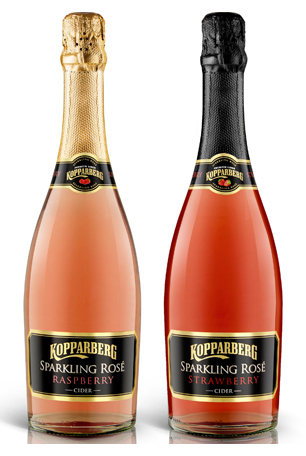 Our fave Swedish ciderhouse, Kopparberg has launched two gorgeous new Sparkling Rose Cider flavours for summer, strawberry and raspberry. A lighter alternative that’s perfect for hen drinks or pre-wed family BBQs, the Sparkling Rose´ Cider is best served chilled and garnished with fresh fruit. Yum! From £6.50.